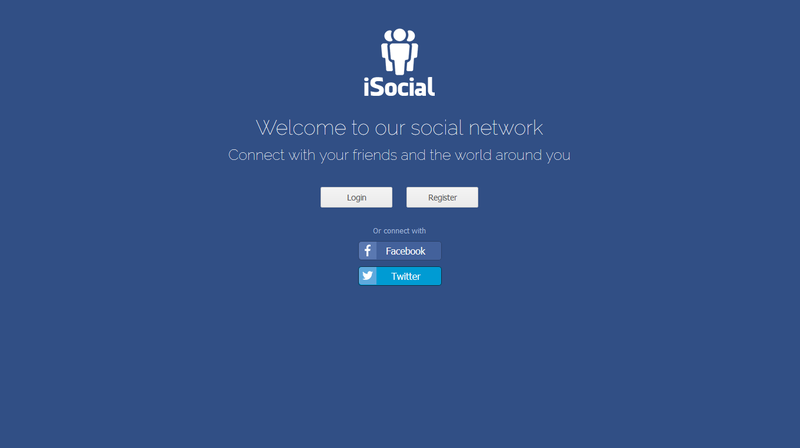 With iSocial you can start your own social network. iSocial included as features: Pages, Groups, Messages, Live Chat, Comments, Share’s, Like’s, Real-time Notifications. Games, Marketplace, Library, etc. Users will have a private profiles, only for friends or public profiles. Also can comment in posts. 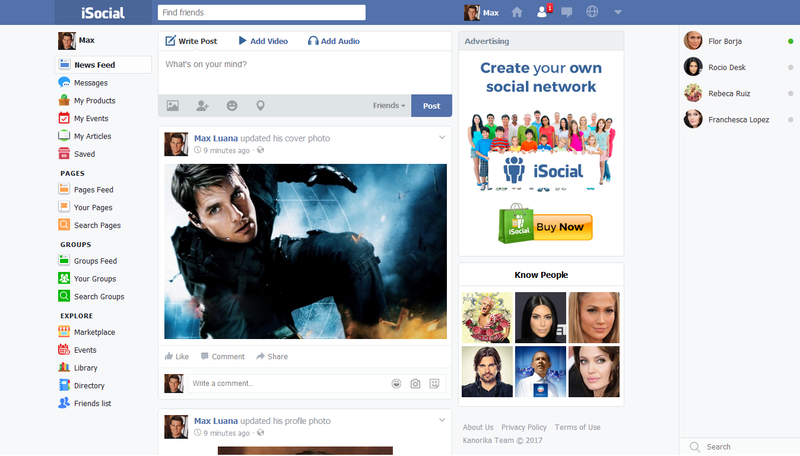 Users can decide which of your posts will be public, and which posts only for friends. 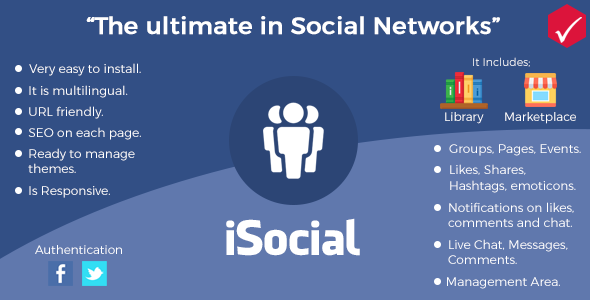 These are only some of the functionalities that do of “iSocial” the ideal social network for you to have your own community of friends. App Android: It is including Android App (Viewer URL). The Open Graph keywords have been implemented for each article in the library. The Open Graph keywords have been implemented for each product in the Marketplace. The list of global notifications has been optimized. The registration of users with email validation has been improved. The visibility of the options menu, in the dashboard, are now always visible (sticky). The registration by Facebook has been optimized. The login with Facebook has been improved. Logging in with Facebook includes obtaining the user’s photo. Events now includes a map (from Google). The display of user mentions in the posts has been improved. The visualization of hashtags in posts has been improved. The display of posts with a specific hashtag has been implemented. The download of the android application was added.